Both new machines feature a maintenance-free Tier 4 Final solution; class-leading visibility, breakout force, torque and hydraulics; and higher rated operating capacities aimed at meeting market demand. 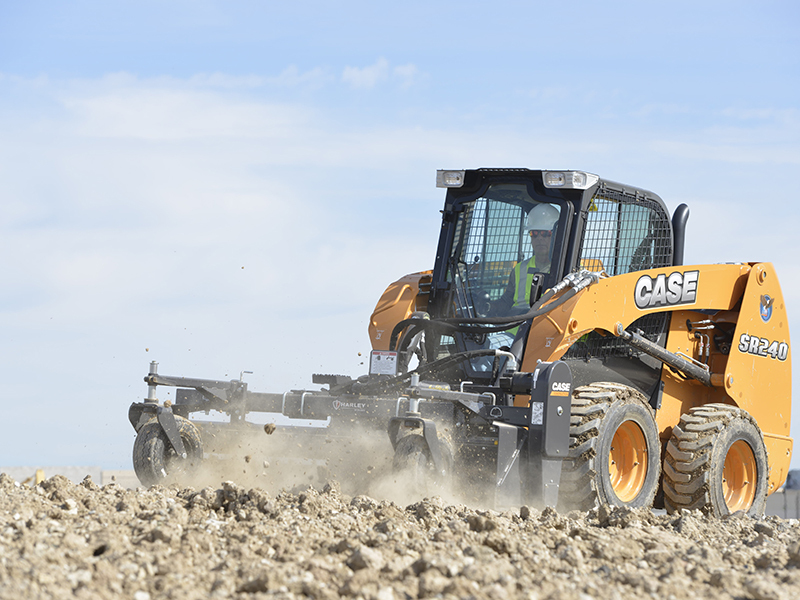 CASE Construction Equipment introduces the new SR240 and SV280 Tier 4 Final skid steers – two new machines that feature CASE's maintenance-free particulate matter catalyst solution. Both machines represent new models in the CASE lineup that provide increased rated operating capacities while still delivering performance benefits associated with much of the CASE Alpha Series line of skid steers, including best-in-class 360-degree visibility, breakout force, torque and auxiliary hydraulics. "The industry continues to trend towards machines with higher rated operating capacities, but not all customers need the super high-end operating ranges," says Warren Anderson, brand marketing manager, CASE Construction Equipment. "We took two of our most popular size classes and lift styles – made them Tier 4 Final – and through improvements in lift cylinders, hydraulics and machine design were able to substantially increase operating capacities." Rated at 74 horsepower, these large-frame models deliver a best-in-class torque of 232 foot-pounds, a bucket breakout force of up to 8,680 pounds, and standard hydraulics (24.2 gallons-per-minute (gpm)) and high-flow auxiliary (33.2 gpm) for excellent power and attachment versatility. Weighing in at 7,400 pounds, the SR240 is an excellent all-purpose skid steer that offers a rated operating capacity (ROC) of 2,400 pounds, while the new 8,090-pound SV280 offers an ROC of 2,800 pounds.